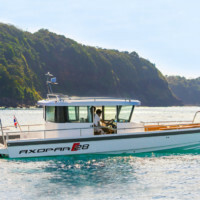 This Axopar 28 is available for private speed boat charters in Phuket. Speed Boat Charter Phuket with Boat in the Bay. You will like this speed boat for its smart design and fast but comfortable cruising. 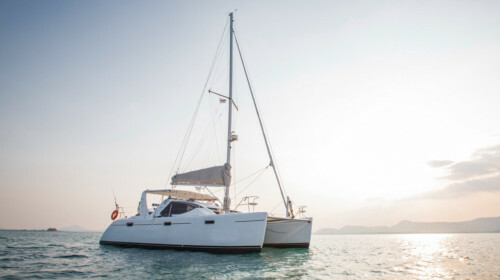 This award-winning brand new Axopar 28 is perfect for an island-hopping adventure. It can be chartered for a maximum of 6 guests, for a half-day or a full-day cruise. 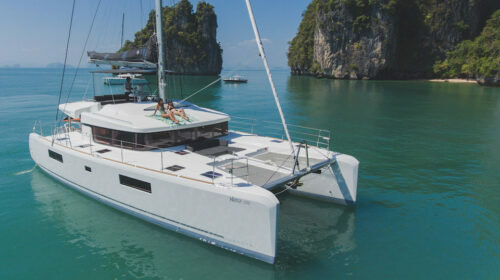 The islands and beaches of the Bay of Phang Nga are all within easy reach on this beautifully designed speed boat. 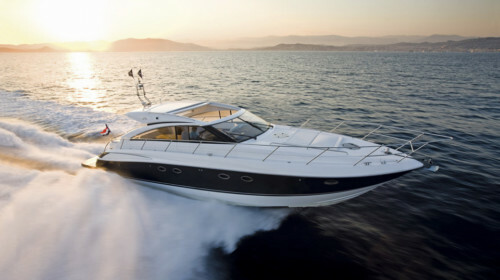 The engine is a brand new powerful Mercury 300 cruising at 32 knots (with a maximum speed of 50 knots). 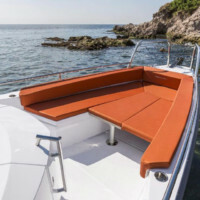 Despite the high speeds, the boat provides a comfortable and safe ride. 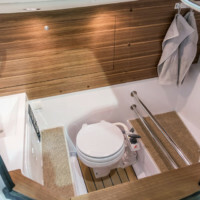 And onboard amenities like snorkeling and fishing equipment add to a perfect day out. 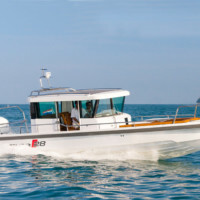 To enquire about the Axopar 28 and other speed boat charters around Phuket – contact Boat in the Bay today! Surcharge for fuel to Phi Phi Islands – 8,000 THB. National Park fees are to be paid extra when applicable (normally 300 THB per person).